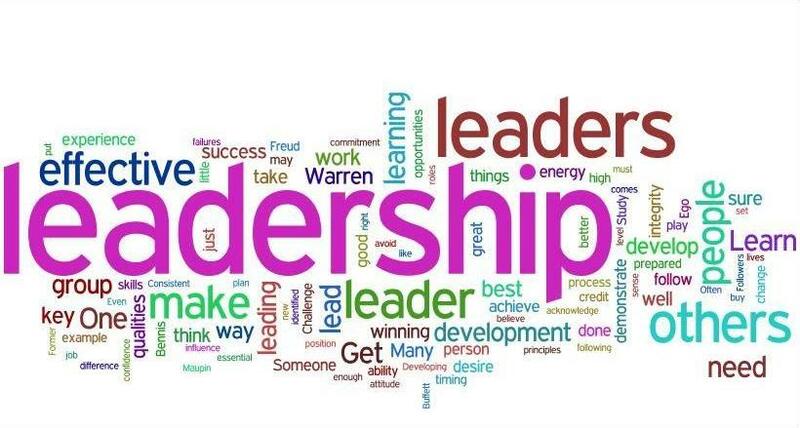 20 Leadership Experts Share Their Best Leadership Tip - Something New Everyday! Good leaders all have one thing in common: They know how to seek advice. It's a bit like parenting. No one who raises a child for the first time understands the job perfectly. You have to keep learning and growing. These experts know the drill. They've written about their experiences in leadership, spoken in front of mass audiences, and honed their skills over many years. Here are their single best tips, exclusive just to this list. "Your team can tell if you're hiding something. It makes them uncertain or suspicious, both of which you don't want. Lay out the rules of the game as you see them with your team. Let the team know where they are; work on a plan to go forward. Keep individuals up to date on their status as it relates to the group. All this forces you to have and share your vision, which is what makes you a great leader in the first place." "You can't just be sympathetic and try to be liked every time someone comes to you with a problem or concern. But you need to be able to understand the problems, as well as that person's point of view. You can't just dismiss them out of hand. And if you're able to see things from their point of view and truly be empathetic, you'll be able to frame your response in a way that will prove you've heard them, and also answer their specific concerns. They might not always be happy, but it will lead to more acceptance if you have to tell them something they're not eager to hear." "Leaders of younger generations are from the most social generation in history. They are in constant contact with peers and family through iMessages and social media sites. But they are also highly isolated because so much of their relational contact is through technology. This has led to poor people skills, low emotional intelligence, and the inability to handle interpersonal challenges. Leaders should work to build relationships one-on-one. A helpful way to do so: Join industry or peer communities to take advantage of meeting and networking in person. Not only will this help their professional development but also help them learn to communicate on a level playing field with those of various generations and years of experience." "Be willing to look at the truth, no matter how uncomfortable. That includes truths about yourself, your product, your people. If your product stinks and your people aren't performing, pretending that just ain't so won't change anything. At the same time, don't beat yourself up. Just look at it, address it, and move on." "Be candid with yourself and acknowledge what you know and don't know. Select supportive team members who possess the skills necessary to take the business in the right direction. See yourself as a piece of Swiss cheese--know your holes and add others (slices) whose substance, when layered on your slice, eventually creates a solid, firm unified block of cheese. A single slice of cheese with its many holes can easily be pulled apart, but a solid block is very difficult to pull apart." "Humanoids show (and feel) no emotion at all. Ever. They are incapable of it. You may think there is no room for emotion in the workplace, but think again. There's already emotion there--too bad much of it is negative. Let some positive emotion flow between you and your people. Get to know them better ... and let them get to know you better. People will go to the wall for people they know, like, admire, and respect. But if they don't know the first thing about you (or vice versa), how can they feel as though they know you, or have a relationship or anything at all in common with you? Humans truly connect with each other on a personal level, not a business level. You don't have to be "best buds," but you must have at least a few human elements in common in order to effectively work together to accomplish common business goals. One way to be more human is to realize that simply saying, 'Hello, how are you?' each morning does not constitute a relationship. Get out and talk with different people occasionally; ask about their families, pets, hobbies ... and share yours. Remember their names (and the names of their significant others/children/pets); ask about a tough situation they've gone through. When they know you really care about them, they will care more about you, and this will bridge the divide and help eliminate the 'Us' and 'Them' mentality." "My best leadership tip is to think of leadership as a responsibility as much as an opportunity. 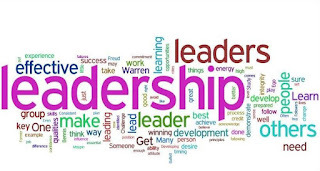 Effective leaders understand that they are responsible for everyone that they are leading, and consider that responsibility as the main concern of their position. If you ever lose empathy for, and dedication to, the people you are leading, you are not being a leader." "In today's dynamic and uncertain business environment, the most successful firms are able to act quickly and decisively in response to change. Strong self-efficacy, high achievement, autonomy, and the ability to take decisive actions in the face of uncertainty and dynamic environments are critical capabilities for an organization. Preparing individuals to evaluate a dynamic environment and act in the face of uncertainty is a particular strength of the military and it should be a priority for executive training programs. It all begins with having a clear vision and a specific mission that empowers people to act in alignment with the company objectives." "Leaders find success when they create teams composed of people who are experts in their areas, and many times, smarter than the leader who's hiring them. Great leaders give them room to grow and innovate. These are the leaders who people want to work for. Unlike the micromanager leader whose insecurity leads them to create teams that include people 'just like them.' These teams may make the leader feel comfortable, versus challenged for the purposes of creating the best work." "Several years ago I had to go to the Department of Motor Vehicles to renew my license--a task that sometimes could mean three to four hours of waiting. There was a college student who was working for our church as an intern for a college credit. He wanted to learn the ins and outs of church leadership, so I asked him to come along to the DMV. Sure enough, it was a three-hour wait, but I spent that time answering all of the intern's questions about leadership. It was real quality time to invest in the young man. Now when I have a task that will involve a long wait time (such as going to the DMV or doctor's office or waiting for a plane flight or going on a long ride in the car, etc. ), I take along a developing leader to invest in him or her." "Be as transparent as you can with all of your team members. The more they know, the more you all are part of the same dream and vision and you'll all work harder to get where you need to go as a team. If you're keeping information from your team members, they'll lose trust and start to feel like they're not contributing to the bigger picture. That's when they look elsewhere." "When you're leading a new team or joining a new organization, honor the new team/organization's past, and then build them a bridge to the future. Too many leaders inherit a new team and want to tell everyone how much success they had in the past, and how good their old organization/team was. When leaders disrespect their new team, team members start asking each other the following questions: If your old organization or team was so good, why did you leave? If your old organization is so good, why don't you go back?" "Know what your future looks like, feels like, and acts like. It has to be a compelling vision that gets your people excited and focused. Latch onto that picture as though it has already happened. Transport yourself into the future so you can see it with picture clarity. Share it with your team so they can see it and do what it takes to achieve it." "Strong leadership is one of the key pillars of success at any organization. People aren't necessarily born with great leadership skills. As such, organizations can't just sit back and hope people will be great leaders. Leaders need to be shaped and molded. And by leaders, I don't just mean executives--I mean managers at every level of the organization. Too often frontline managers are overlooked when it comes to leadership development, when the reality is that 70 percent to 80 percent of the workforce reports to frontline managers. The results of a study we did with Harvard Business Review Analytic Services reveals 79 percent of global executives believe lack of frontline leadership capability negatively impacts company performance. As such, it's critical to the success of any organization that these people be given the tools, resources, and development to succeed." "Leaders with character are highly effective. They have no need to pull rank or resort to command and control to get results. Instead, they're effective because they're knowledgeable, admired, trusted, and respected. This helps them secure buy-in automatically, without requiring egregious rules or strong oversight designed to force compliance." "Leadership has got nothing to do with figuring it out and everything to do with feeling it out. It is an 'awareness,' and for so long in my businesses, I too was not aware. Leaders aren't born; they evolve. And to evolve you must first be self-aware. To develop leadership skills, allow yourself to be open, honest, and real. Be confident, not arrogant. Confident leaders lead through values, vision, and vulnerability. Arrogant leaders lead through fear, blame, and ego." "If you think about achieving your vision, it's like climbing a mountain. Executives and managers think they have to be all buttoned up and have the path up the mountain all mapped out, then they shout the directions back down to their organization. But really, leadership is about alignment, and that means we can achieve a lot more if we all go up that mountain together." "Repeat the words, 'It's not about me!' every day, multiple times a day. Don't make your leadership about being in charge, being right, getting promoted, or looking the best. Make leadership about the cause of the organization, serving the legitimate needs of those you're leading, and not taking yourself so darn seriously. You'll have people lining up to work for and with you and the results will follow." "Your posture and body language needs to be intentional and consistent. Always be aware of your posture when you are sitting, standing and walking. Roll shoulders up, back, and down. Straighten your spine; leaders don't slouch. Nor do they intimidate with off-putting body language such as crossed arms, puffed out chest and finger waving. Align your appearance, head-to-toe, with how you wish to be known. Aligning your appearance also means dressing the part head-to-toe. This includes wardrobe, haircut, eyeglasses and even shoes. Leaders look the part--not like they just rolled out of bed. A pressed dress shirt or wool sweater, well-fitting trousers, leather shoes and belt is a good uniform to adopt. A tie and/or sport jacket give extra bonus points for executive presence. Update your eyeglasses every other year and get a good haircut. Dress, head-to-toe, as the leader you want to be." "When we are curious with others, we learn, we collaboration, and we innovate. When leaders aren't curious, they tend to judge, tell, blame, and even shame without realizing it. This creates conflict, frustration, narrows perspectives and opportunities, and prohibits collaboration, innovation, and understanding. Based on our 10 years working with leaders, we know that they know they need a new language to be successful; however, they don't know how to access it. Curiosity allows you to access that language to meet the leadership needs of the 21st century."